As you may know, there are a lot of Gameboy emulators for PC available already, and GBA Emulators with multi-player support are present as well. But now one is made also for Symbian smartphones. Emulate GBA ( GameBoy Advance ) roms on your s60v3 Nokia smartphone! vBagX is a GameBoy Advance emulator that can run GBA games on your Symbian series 60 3rd edition phone. 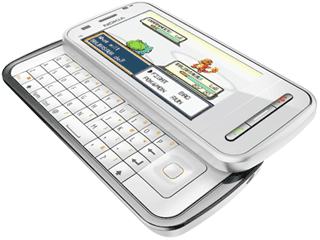 Play your favourite Pokemon roms, Mario roms or Zelda roms on your Symbian s60v3 smartphone. We do not provide any game ROMs, but it is easy to find those by using search engines. This emulator is designed for handsets that has physical buttons and is unusable on touch-only devices. However it can be used on devices with combined touchscreen + keyboard. For touchscreen-only devices check out GameBoy Advance emulator for S60v5, Anna and Belle. Download the archieve to your computer, unrar it. Transfer the file vbagx_s60v3.sis to your phone and install it. Open the application and go to "options" => "activate", your imei number will be shown. On your computer, open vBagXKeygen.exe and enter your imei number, press "generate". On your phone, Press "yes" and enter the generated key. Search internet for GBA roms and transfer them to your phone to play them with the emulator. Make sure your ROM file ends with ".gba", and send them to your mobile via bluetooth, USB or card-reader. If you installed vBagX on your phone memory, please put the roms into the folder "C://Others/vBag/". We recommend you install vBagX on microSD. Open vBagX and there should be a list of the games that you just transferred. Select one and play! is there any another emulator except vbag,vgba for s60v3? thank u very much. . . now?? i can play gba on my 6120c. . . T.T. . . thank u. .
my phone nokia E63 .